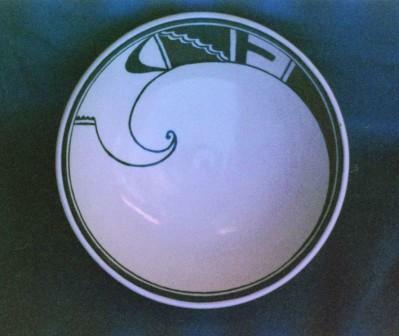 These works are inspired by the Mimbres. 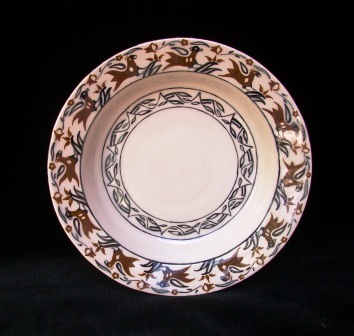 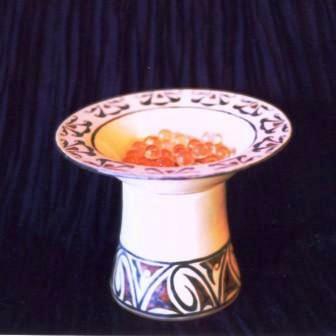 This pottery can be used for food and food preparation. 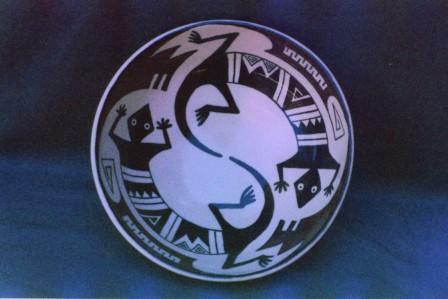 The Mimbres occupied the somewhat isolated mountains and river valleys of southwestern New Mexico from about 1000 to 1250 AD. 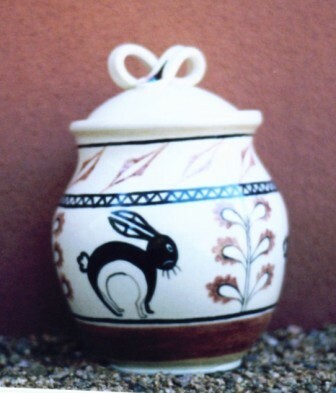 Recognized as part of the larger group known as the Mogollon, the Mimbres were concentrated around the Mimbres River, named by early Spanish settlers for the abundance of mimbres or small willows found along its banks. 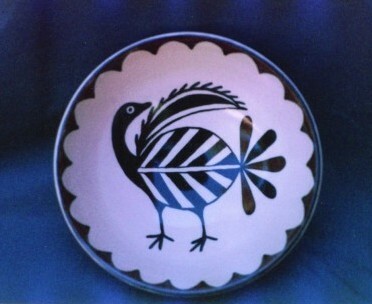 The name Mimbres, or Mimbrenos, was adopted as the official name of the culture at the turn of the century. 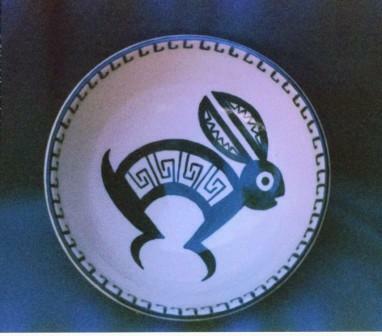 Known for their pottery exquisitely painted with geometrics designs and designs inspired by nature, the Mimbres culture is of interest to archaeologists and anthropologists, as well as art historians and collectors.